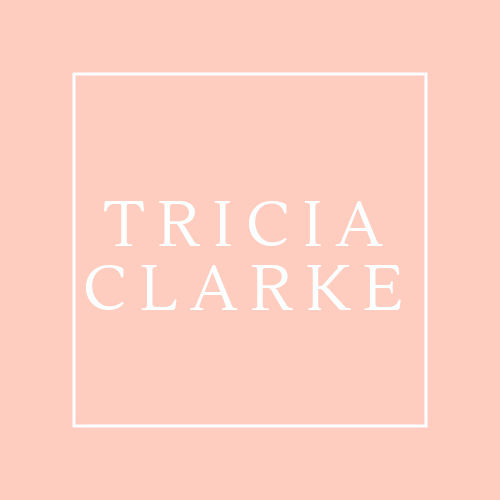 My name is Tricia Clarke and I LOVE dry shampoo! I’ve been talking about DRY SHAMPOO for years but it is FINALLY catching on. When I give talks to women’s groups I no longer get blank stares when I ask if the crowd knows what dry shampoo is…BUT I am surprised at how many are not really taking advantage of it’s magical powers. Why do I love dry shampoo so much? It is a game-changer once you use it properly! SO–get ready to take some screenshots, I’m about to change your life! Are you ready? So you want to know the most the most important rule for dry shampoo? Of course you do! STAY AHEAD of the greasies! That’s right, before you go to bed, apply dry shampoo at your roots–do the ZHUSH (more on that later) and then pull your hair up into a big bun. When you get up the next morning, take down your bun, shake out your hair and carry on! Don’t wait and try and use dry shampoo AFTER a workout. Use the same method as bedtime, but before you workout. When you’ve finished your sweat sesh, take down your bun, and blast your roots with a blow dryer on the cool setting. Boom! I only wash my hair 2 days a week, and one of the ways I extend my time between washings is to put dry shampoo on after I finish my blowout. Remember, the key is to STAY AHEAD of the greasies! 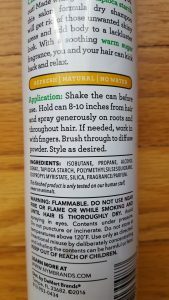 Now that you know my favorite tips for USING dry shampoo, maybe you are wondering WHICH dry shampoo you should use? Well friends, I have tried them ALL! Keep reading to find out my faves! The key ingredient is Tapioca Starch–and this works way better for me than other formulations. Check your favorite bottle–what’s the key ingredient that absorbs excess oil? If it’s not tapioca or rice starch, you may want to try one that utilizes these ingredients. 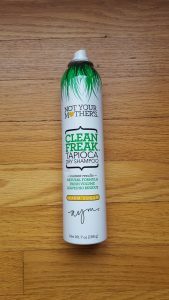 I have fine, straight hair and dry shampoos containing either tapioca or rice starch work the best for me. Below is a picture of all the dry shampoos I bought over a span of 2 years. See any you’ve tried? And NOW, thanks to my girls at Olive Grace Collective salon in Lake Geneva, I have a new favorite, and you really must try it. 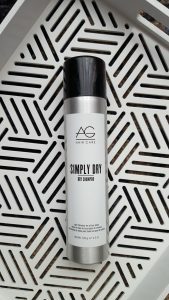 AG Hair Dry Shampoo follows my principle of using Rice and Tapioca starch and smells absolutely amazing! You can order it by clicking the link below! 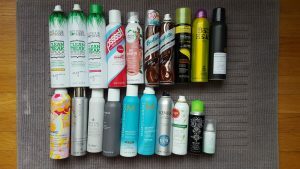 What is your favorite dry shampoo? Tell me in the comments! Get ALL the fun facts! Win stuff! Subscribe! This post is not sponsored. This post contains affiliate links.